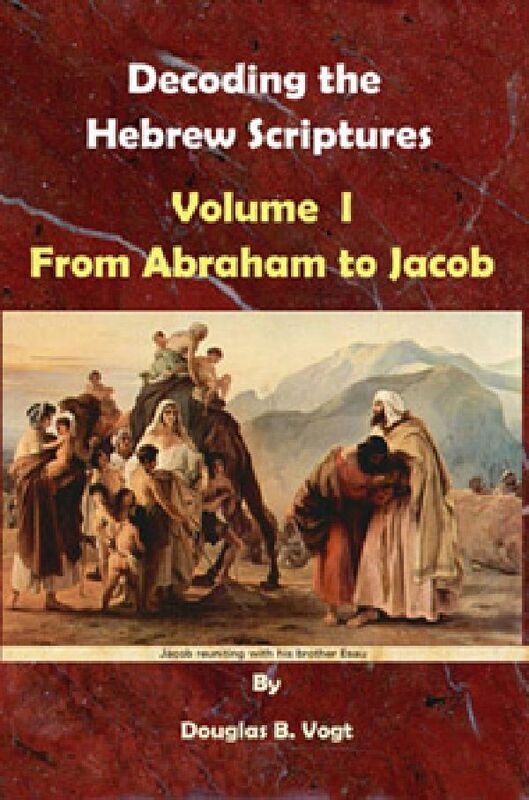 The author is unique on the information within the Hebrew Scriptures. He is the first person in 2,600 years to discover the real Mount Sinai and all the altars Moses mentions in Exodus. He is also the first person in history since David to discover the model that created the 22 letters of the Hebrew alphabet and the scientific philosophy that created it. He is the first person to discover the ten code systems, Moses used in writing the surface story of the Torah. Mr. Vogt is also the only person in 3,305 years who found and excavated the real altar, Abraham (Abram) built on top of the real Mount Sinai. A picture of the altar is in this Volume. There are a number of things that bothered the author that are written in Genesis. It says that Abram was 75-years old when he left his father in Haran. That is an old man and his father was supposedly still alive so he had to be about 95-years old. We learn later that Anram’s wife, Sarai was then 65-years old when they both left Haran. After a short stay in Canaan, they move to Egypt where Abram sells his sister to the Pharaoh. After an unknown number of years later they leave Egypt and move back to the desert of Canaan by the town of Gerar where King Abimelech buys his sister again. None of this made any sense because why would any king or pharaoh find a 67-70 year old woman beautiful to marry. In those days man married woman for one reason and that was to have children to increase their wealth. The other pint of contention was that no woman is having children at the old age of 90, which is what we are told Sarai had Isaac. None of this made any sense so the author looked at those verses and found that some group of priests in the first Temple period changed the sequences of the letters to create another surface story. The irrefutable proof is covered in the book. ISBN 9780930808167 (pbk. : alk. paper), 152 pgs.